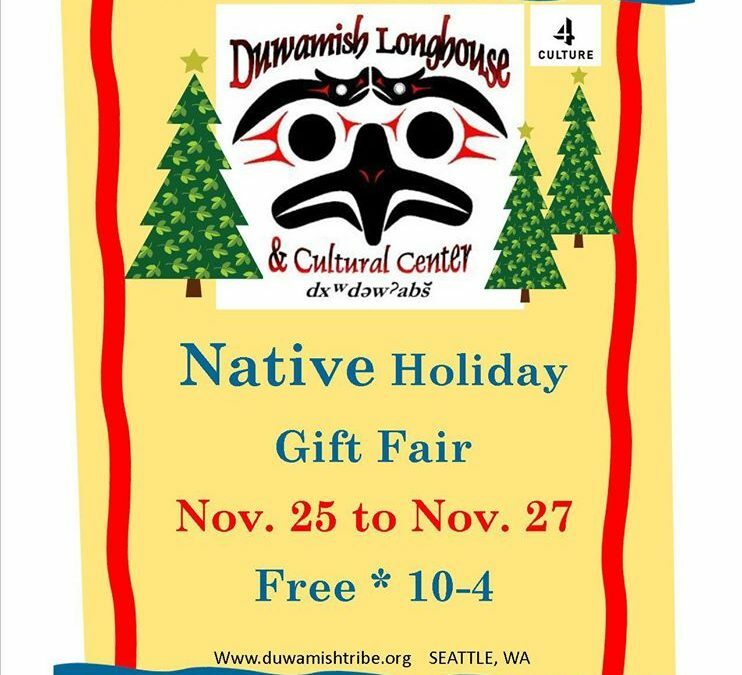 The Duwamish Tribe invites the public to its Longhouse Thanksgiving weekend for a Native Holiday Gift Fair, from 10 a.m. to 4 p.m. Nov. 25, 26, & 27. Buy directly from native artists and craft persons. Lots of holiday spirit and a big lighted tree. Unique gifts in every price range – fine art, native crafts, regalia, cards, jewelry, t-shirts, smoked salmon and more. Snacks: soup, hot chocolate, and more. Celebrate Native American Heritage Day on November 25th! Free admission and parking for shoppers.